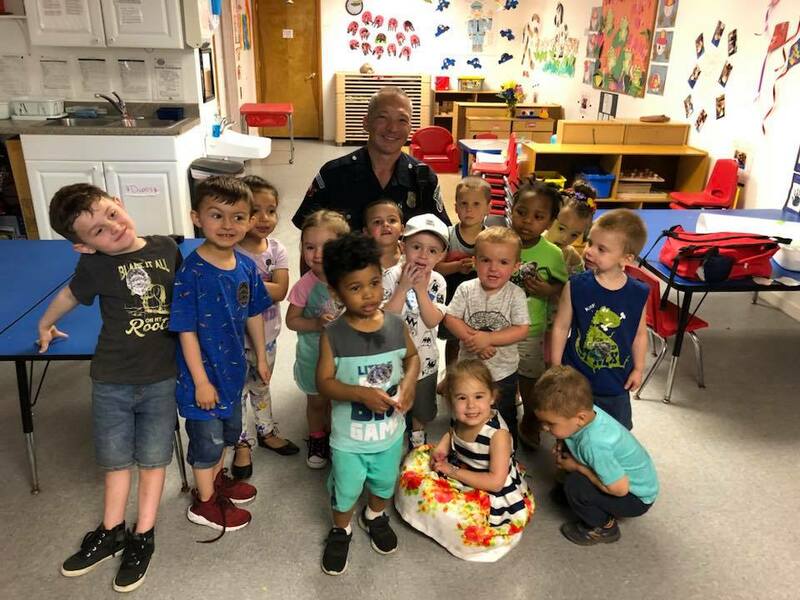 Officer Stephen Brown received a warm thank you from the children and staff at Days of Discovery day care following his recent visit there to meet the youngsters and talk to them about safety. He showed the children how to dial 911 and told them to tell an adult if a stranger tries to talk to them. He also told them the importance of being kind _ something he knows well. He visited the center last year as well, at the request of the mom of Kylie, who is pictured and who is a big fan of the police. He also gave the children junior police officer badges. Great job Officer Brown!